Willow Grove Physical Therapy: When it comes to chronic pain, you cannot always trust your brain! When it comes to chronic pain, you cannot always trust your brain! Hello everyone, as part of our New Year’s upgrade, we, the Willow Grove/Hatboro Physical Therapy staff, decided to start a series of blog posts. Each month we will focus on a different subject. This month the subject is PAIN. We all have experienced pain in the past and will most likely experience pain in the future. But what is pain, why do we experience it, and why is it important to understand what it’s all about? This month I will try to answer these questions for you. When you look at an object, such as the one in the picture, special cells in your eyes receive the information and convert it to electrical signals. These electrical signals travel through nerves to the back of your brain, an area called the visual cortex. This area takes the electrical signals and sends them to different parts of your brain, which then process the information and come up with an end product. The end product is the image you see or “perceive.” Therefore, one could say that we don’t see with our eyes; we see with our brain and the eyes are just one step in that process. It is the brain that makes sense out of the signals coming from the eyes, and it is important to understand this concept in order to understand pain! 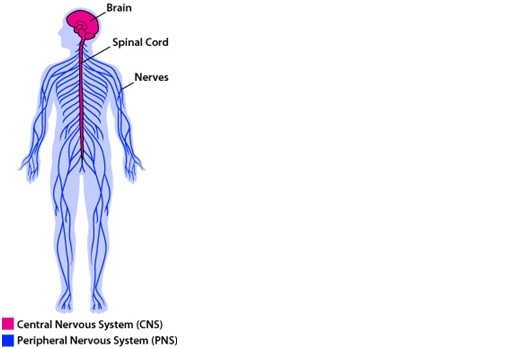 The peripheral nervous system takes messages to your spinal cord and brain, and then the central nervous system processes these messages and sends new messages down to your body. Think of it as a computer. You double click an icon on your desktop; the message gets to the computer processor (brain), which then sends a message that opens a document. Among many different roles, the nervous system functions as an alarm system that is designed to warn you of a potential danger or a threat. And how the brain warns you from a threat is PAIN. In most cases, when we feel pain we stop or stay away from whatever it is that caused us pain previously. It is a warning sign and a protective mechanism, and it is completely normal. The brain produces warning signs by using multiple areas in the brain; among them are memory, emotions, alertness, behavioral, and sleep areas. Now think about signals traveling from your back, neck, legs, feet, etc… These signals reach the brain and spread to multiple different areas, where the information is processed. The result of the signals will either be a threat or not a threat, and therefore you may or may not feel pain. Therefore, pain equals threat. So what is pain? Pain is your perception of a threat, it is the end product, and it is the result of processing signals in multiple areas in your brain that originated somewhere in your body (for example: low back, neck, feet). Going back to what I explained about vision, just like the sum of the signals coming from your eyes will produce what we perceive as an image, the sum of the signals coming from your body may be considered a threat, which then will be perceived as pain. For example, when you step on a sharp object, messages travel up to your brain through the nerves. Your brain will process the messages using a “pain map” which consists of multiple areas in the brain. A sharp object stuck in the bottom of your foot is a threat and therefore, you will perceive pain. Why do we experience pain? Simply to protect us from what could potentially be a threat! It is just a protective mechanism, and it is normal and important to be able to perceive pain. However, the brain is NOT a perfect! In fact many times our nervous system either misses a potential threat or gets it wrong and tells us that something is a threat when it is not! For example, did you ever look at your finger and realize that you are bleeding? In this case, although it was only a minor scratch, you technically injured your body (you are bleeding). However, your nervous system completely missed it, and you did not perceive pain. The opposite example is seen in multiple chronic pain conditions. Our nervous system has the ability to increase or decrease its level of sensitivity. It does it by increasing the amount of chemicals in the body that “amp up” our body and decreasing chemicals that relaxes us. With persistent (chronic) pain the nervous system becomes more sensitive. Our body constantly produces chemicals that cause the nervous system to become hyper-vigilant and over sensitive. If a lion jumps into your room right now, what will your body do? You will call upon multiple systems to defend yourself; your heart will beat faster, you will breathe faster and shallower, your big muscles will tense up, you will shift blood to areas you need and away from other areas you don’t need right now, for example muscles dealing with posture and stability, your immune system will slow down, you won’t be able to sleep, etc… These systems are very well designed to work for a short time while there is a threat and once the threat (the lion) goes away, everything returns back to normal. Now, how is this example related to pain? Research shows that chronic pain causes the same reactions in our body as if a lion just jumped into the room (it’s called increased sympathetic activity). It is like if you are constantly stressed! Our brain learns to accept it and creates pathways that produce the perception of pain. Think about the shadows explanation. 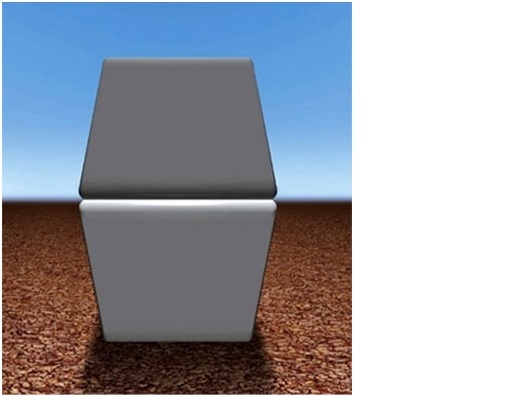 Just like your brain learn to trust shadows and you see the two cubes in two different colors, your brain trusts the “pain pathways” that have been formed and strengthened for years. The problem is that with a very sensitive nervous system, these pathways will be activated all the time, which results in persistent (chronic) pain. We said that pain equals a threat… well the nerves are so sensitive that every little movement is thought to be a threat so you feel pain and this is how the brain gets it all wrong again! Let’s move to the third question of this blog… why is it important to understand pain? Based on high quality research, we know that understanding your pain will result in decreasing the level of brain activity that is related to your pain. In other words, those “pain pathways” will be less active and over time, your nervous system will become less sensitive; you will be less stressed, sleep better, your heart and vessels will be in better shapes, and you will have less pain. Since the perception of pain is produced by your brain, we need to train the brain to reduce pain. The most current and strongly supported educational technique to train the brain to minimize pain is referred to as Therapeutic Neuroscience Education (TNE). We also need to assist the brain to get those stress chemicals under control. The way to do it is with aerobic activity (walking, biking, etc.). Aerobic activity helps to consume the stress chemicals and release the more “relaxing” chemicals in our body. In addition, we need to move the parts that hurt. Why? So they won’t get stiff and weak (causing even more problems) and to teach the brain that it is okay to move in a non-harmful way. Physical therapists are movement experts that are trained to deal with pain and chronic pain conditions. It is time to stop suffering and start working toward a better quality of life. I am not against medications when they are needed, but they are not the ultimate solution to improving your life. No medication in the world is designed to work toward your own personal goals! If the information presented above is somewhat related to you or someone that you know, I recommend seeing a physical therapist that is trained in treating chronic pain for an evaluation and development of personalized plan of care. For more information, here are some friendly (easy to understand) YouTube videos I recommend (the first one is my favorite but it is 14 minutes FYI).